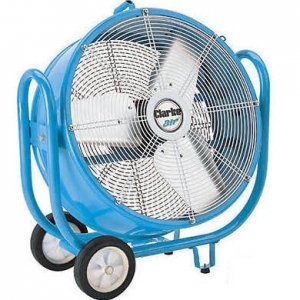 This large frame mounted drum fan offers effective cooling and ventilation in commercial and industrial premises. The largest of the Clarke drum fans the CAM6000 model is manufactured in a robust steel casing to offer long life. The strong steel guard fitted to the front of the fan provides protection against accident. Three fan speeds and electrical protection are also provided with this model.